Just before noon on a Sunday in October of 1914, Stella and John Lankford welcomed the birth of their second child. It was a little boy this time, welcomed into their home at 311 Ault Street in the usual way. They named him after his father, little Johnny Carlisle Jr., though most would end up calling him Jack. His elder sister, Alice Louise, was two years his senior, and his parents were both closing in on 30 years of age. 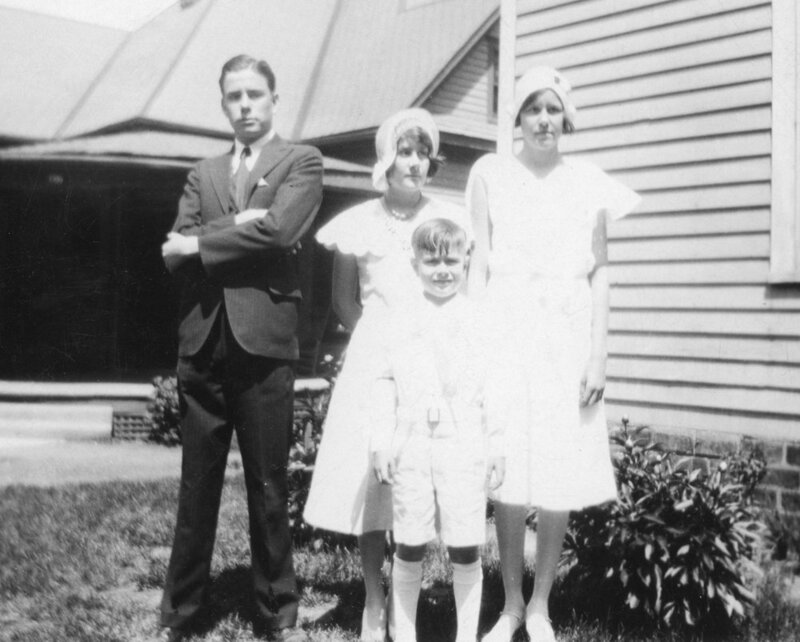 John and Stella had set up their small family in Moberly, where John was working on the Wells Fargo Express Railroad, but they often took their children back to Chillicothe, where the majority of their family roots remained. The war had been escalating in Europe, but it was only a few months before Jack's birth that President Woodrow Wilson officially announced the United States' "neutral" stance. Like clockwork, two years later, in the summer of 1917, Jack's sister Kathleen Leona was born. That November, President Wilson won re-election under the slogan "He kept us out of the war", and yet that following spring the United States declared war on Germany, joining the allies in World War I and forever changing America's relationship with the world. Jack was two and a half years old. His father, at 30 years old, registered for the draft that summer but was able to avoid service, citing his wife and two young children as solely dependent on him for support. By then, John had taken out a mortgage on a house at 927 Rollins Street; a home where his family could - and would - continue to grow. It was a two-bedroom home with a large front porch; Jack slept in the same bedroom as his parents while the girls shared a room. The close quarters were not necessarily a bad thing, especially in the cold winters when the only source of heat came from the wood stove in the dining room. Jack went to elementary school at Loretta Academy, but when summer came, he and his sisters would gather cherries from the tree in their back yard and seed them until their fingers were stained a sweet ruby red. Over the next ten years, the house sustained a value of $4,000 (comparable to $58,000 today). On August 18, 1920, Jack's mother, among some 26 million other women throughout the United States, was finally given the right to vote as the 19th Amendment granted universal women's suffrage. In the summer of 1921 the Centennial Road Law was signed, leading to the construction of the first modern system of Missouri highways. In August of 1923, President Harding succumbs to a fatal illness and his office is replaced by Vice President Calvin Coolidge. The Lankford family consisted of just the five of them for a while. Then, at 39 years old, and seven full years after the birth of her last child, Stella found that she was once again expecting her fourth baby. In the summer of 1924, Jack's little brother Harold David was born. When Jack was around 10 years old, he likely would have witnessed the marvel of the first motion picture to include sound. Jack found his way into plenty of mischief growing up. There was the time Stella was out visiting a next door neighbor and Jack and his friend found a shotgun up in the attic. Being young boys, curiosity got the better of them, and they decided to try firing the gun out of the open attic window. Just as Jack's finger clenched the trigger, the window latch slipped loose and the glass pane clattered closed, shattering with the shot. It nearly sent poor Stella into a heart attack as she heard the repercussions from down the street. In 1929, Jack received his 8th grade diploma from St. Mary's, along with a Proficiency in the Palmer Method of Business Writing. He kept himself active that summer as a member of the Ad Club. This very same year, the Central building that the high school used burned down. As the district used this time to overhaul it's system, creating not only a junior high school but also a junior college. Grades 8-10 were established in the new junior high school, and the last two years of high school were included with the two junior college years in one four-year school. So in August of 1929, Jack, along with about 160 others, registered as a Freshman at Moberly High School. The 1931-32 school year saw Jack in the Freshman class of Moberly Junior College. This was the very first year the school adopted the "progressive" Six-Four-Four education system: students attended 6 years of elementary school, 4 years of junior high school, and 4 years of junior college. Being the first freshman class in this system, the pressure was on them to keep high records over the next three years and prove Moberly Junior College's success. During the summers, Jack attended the Citizens Military Training Camps as a representative of Randolph county. While many boys applied, Jack was one of the lucky 15 to be selected both years. The camps provided citizens the opportunity for basic military training without the added obligation to report for active duty. The primary focus of the camps is "good citizenship and health, physical, mental and moral". Jack was one of 11 Randolph boys to attend Fort Snelling, Minnesota. As Jack moved from the lower division of Moberly Junior College to the upper, he became even more involved in social activities. In 1933, he joined the football team as a 163-pound tackle on one of the largest teams the school had seen to date. There were 46 boys issued uniforms, and although many fought to get their time on the field, Jack had his opportunity on several occasions. The team may have been big in numbers, but it overall lacked in experience, and had a fairly unremarkable season. This did not stop Jack from returning to the team his senior year. He was on a roll. His senior year, Jack was voted "wittiest boy" by his peers in a popularity contest held by the school newspaper. He also served as class secretary and sang bass in the Glee Club and was a member of the Phi Lambda Epsilon educational fraternity. He never ceased to get into his share of shenanigans though. During his junior college years he almost blew up the Chemistry Lab in an experiment gone wrong. Then there was the story of the time he saw his professor, Miss Deane Pearley, walking home on the sidewalk in front of him after school. The elastic in her bloomers somehow snapped, and they fell down in a pool around her ankles. In an attempt to avoid further embarrassment, the matronly woman kept her wire-rimmed glasses pointed straight ahead and just kept walking right out of them as if nothing had happened. Of course Jack wasn't about to let that one go. He picked them up and called out to her, "Miss Pearley, Miss Pearley, you lost these!!" as he waved them all around for the entire neighborhood to see. She was so embarrassed she chased him down the street, beating on him with her briefcase while he laughed the entire time. In December of 1933, when Jack was 19 years old, prohibition officially ended. It was also around this time that Jack noticed a pretty little lady staying with the neighbors across the street. He sat out on the porch for hours just to catch a glimpse of her, until he was eventually able to find opportunity to introduce himself. Dorothy Mullen was visiting her sister and brother-in-law from Arkansas, and when it was time for her to go back home, Jack made sure to go visit her as well. He took advantage of his father's family railroad discount and brought his sister Kathleen along for the trip. In 1935, Jack's family moved to the big city of St. Louis where his father's job had been transferred. Dorothy had just so happened to be in between jobs, and it didn't take much for Jack and Kathleen to convince her to relocate to St. Louis a well. Jack found work in a local ice cream parlor on Cherokee street, riding his bicycle back and forth to work for a whopping $10 a week. He did this for about a year until he found a more promising position as a production helper at Monsanto Chemical Company's Queeny Plant. Rumor has it that Jack once took it upon himself to swim straight across the Mississippi River. Whether on a whim or a dare, it must have been quite an impressive feat with the strong current, but perhaps that is why the tale has lived on to this day. Dorothy & Jack on their wedding day. In the summer of 1940, Jack and Dorothy applied for a marriage license, and on July 16, 1940 they were married in St. Margaret's Catholic church. The modest wedding party was made up of Jack's younger sister, Kathleen, and a friend, Otto Rickey. The ceremony was followed by an intimate breakfast at the Rose Bowl with their immediate families, and from there it was on to Miami, Florida, where they spent their honeymoon. Upon their return, Jack and Dorothy moved into their first home together at 2112 Maury Street. Around this time, Jack began his work within the Monsanto laboratory on 2nd Street in Soulard. In September of 1940, amidst an escalating situation in Europe, the U.S. Congress enacted the first peacetime conscription draft. Jack was 26 years old - right at the peak draft age, and on October 16th Jack made his way up to the YMCA on South Grand Avenue and filled out his draft card. A month later, F.D.R. wins his third presidential election, becoming the first man to hold office for three (and later four) terms. In 1941, Jack was transferred to Norfolk, Virginia as production supervisor with Monsanto, where he became responsible for safety activities there. They lived at 1907 St. Denis Avenue. They were here when news hit of the terrifying and tragic Japanese attack on Pearl Harbor, and the U.S. declaration of war that followed. 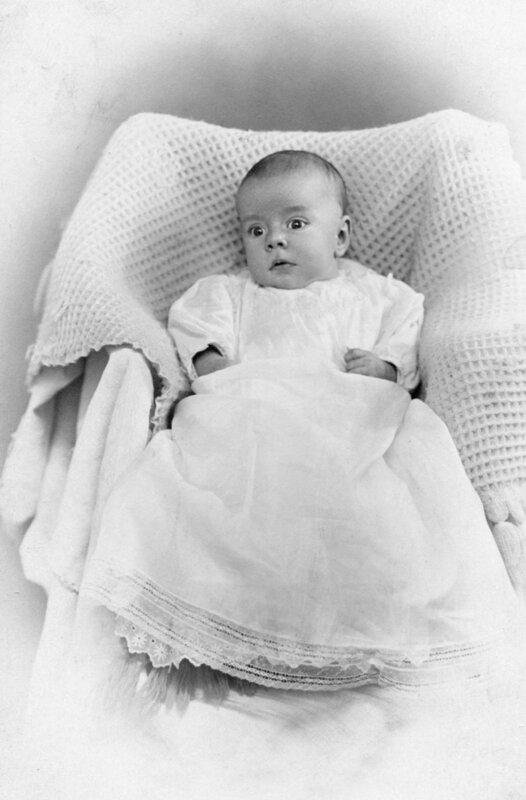 In May of 1947, Dorothy gave birth to a baby boy, John Carlisle, Jr.
Just over a year later, in the fall of 1948, their daughter, Suzanne Kathleen, was born. By 1951, Jack had been promoted to Safety Director. He and the family had moved to 405 East Sewell's Point Road. In January of 1953, when Jack was 38 years old, their youngest child was born. They named him James David. By 1954, the family had moved to 216 Forsythe. 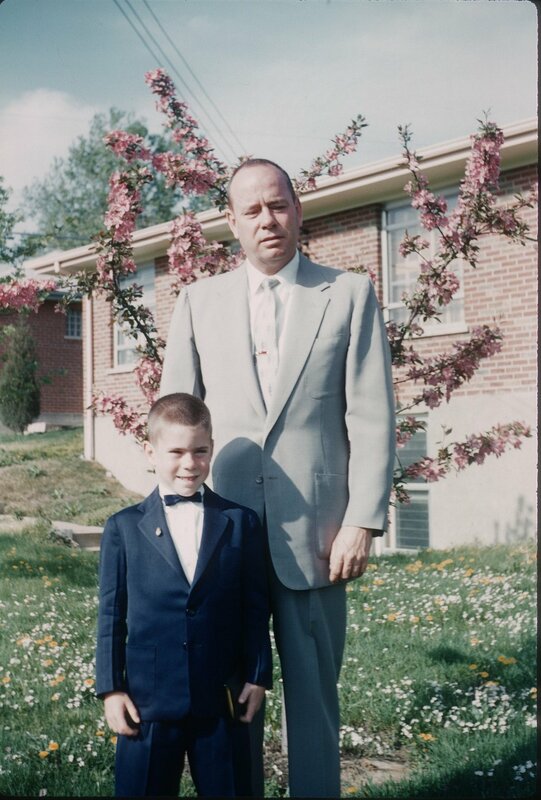 In 1956, the Monsanto Norfolk Plant operations closed down and Jack and family all transferred back to St. Louis, where Stella had helped Jack arrange a home for his family at 705 Buckley Road in Lemay. Having been living so far away with Dorothy and the kids, it must have been nice to return home and be closer to the rest of the family once more. Jack resumed his work for Monsanto at the Krummrich Plant as a safety engineer. In St. Louis, Jack began participating in the Industrial First Aid Program with the American National Red Cross, which he continued to participate in for 10 consecutive years. In the fall of 1960, Jack was inducted into the American Society of Safety Engineers, and though he never had a formal induction ceremony, a certificate was awarded to him. Early one Saturday morning in May of 1963, Jack's mother, Stella, suffered a heart attack. She was rushed to the hospital, but died within a few hours of her arrival. Her funeral was held at the St. Pius Catholic Church that next Monday morning, and her body was taken back to her hometown of Chillicothe that afternoon, where graveside services were held at the Catholic Cemetery. Not long after, Jack's widowed father moved in with them. Jack was awarded a Sales Analysis Institute Certificate in the fall of that same year. In April of 1967, Jack's father was admitted to the hospital where he remained in critical condition for six weeks. On May 12th, John passed away. A morning funeral was held at St. Matthias Church, just down the street from their home, and after John's body was taken back to Chillicothe to be buried next to his beloved Stella at St. Columban's. Jack was 52 years old. It was around this time that Jack finally decided to retire from Monsanto after 33 years of employment. Jack found various ways to keep himself busy after retirement. One of which was taking a part-time job as a salesman at the local Central Hardware store. Between 1970 and 1971, all three of Jack's children were married, and it was soon after that the first of six grandchildren followed. In1972, Americans witnessed the Watergate crisis as well as the re-election of President Nixon, and the beginning of his downfall. His impeachment proceedings took place throughout 1974, and ended with his resignation on August 9th. In November of 1980, Ronald Reagan is elected the 40th president of the United States. Three months later, he is shot in the chest during a failed assassination attempt while walking to his limousine. 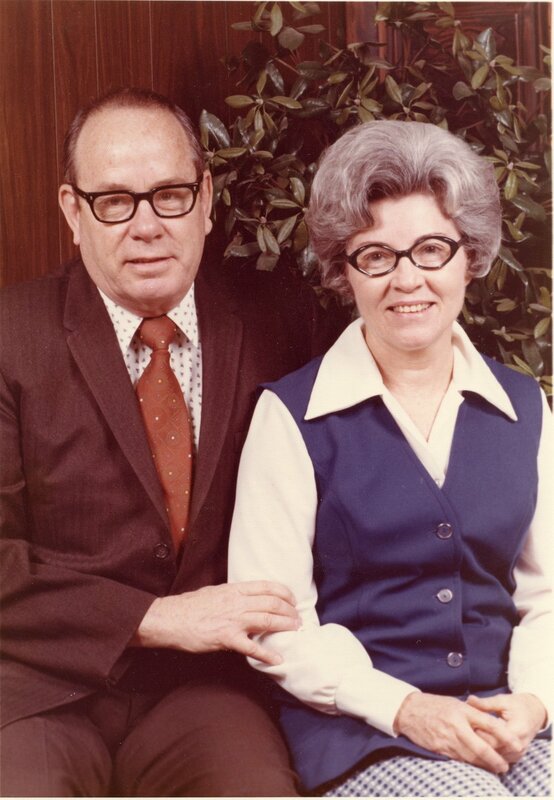 Throughout the 80's, Jack and Dorothy both volunteered at Alexian Brothers Hospital Auxiliary. Out of nineteen total auxiliary members, Jack was one of only two men. He joked about his election to the board, saying, "I assume that Brother Athanasius (hospital liaison with the Auxiliary) put me on it." He would spend his Tuesdays as a marker for the quilters group, and Thursdays in the hospital gift shop with Dorothy. Jack served as the auxiliary president in 1986, and four years in a row raised $100,000 for the hospital by way of the gift shop, quilt, craft and bake sales. When the Skilled Nursing Facility was formally dedicated in memory of Brother Athanasius Savary, Jack had the honor of presenting his dedication plaque during the ceremony. In the summer of 1997, Jack was diagnosed with metastatic lung cancer. His health declined very rapidly from this point on, and his family rallied around to care for him and ensure he was able to remain in the comfort of his own home during this time. In the early morning hours of December 4th, Jack passed away at the age of 83. His funeral was held at St. Matthias Church, and he was buried at Saints Peter and Paul Cemetery. His family asked that in lieu of flowers, donations be made to the Alexian Brothers Hospital Auxiliary, so that Jack could continue to give back as he so loved, even after his death. 1. Chillicothe Morning Constitution. 26 June 1915. Newspapers.com digital image. Newspapers.com : 2017. 2. The Chillicothe Constitution-Tribune. 4 December 1916. Newspapers.com digital image. www.newspapers.com : 2016. 3. "In Honor of Fifth Birthday." Moberly Democrat. 5 September 1920. Newspapers.com digital image. www.newspapers.com : 2017. 4. "Lankford, John C. "Jack"." St. Louis Post-Disp atch. 7 December 1997. Online archives. Newspapers.com : 2016. "St. Mary's School to Close Sunday." Moberly Weekly Monitor. 23 May 1929. Newspapers.com diigital image. www.newspapers.com : 2017. 5. "Theatre Manager Entertains Ad Club." Moberly Monitor-Index. 20 June 1929. Digital image. Newspapers.com : 2017. 6. Ancestry.com. 1920 United States Federal Census. Provo, UT, USA: Ancestry.com Operations, Inc., 2010. 7. Ancestry.com. 1930 United States Federal Census. Provo, UT, USA: Ancestry.com Operations Inc, 2002. 8. Ancestry.com. 1940 United States Federal Census. Provo, UT, USA: Ancestry.com Operations, Inc., 2012. 9. Ancestry.com. U.S. City Directories, 1822-1995. Provo, UT, USA: Ancestry.com Operations, Inc., 2011. 10. Ancestry.com. U.S. Public Records Index, 1950-1993, Volume 1. Provo, UT, USA: Ancestry.com Operations, Inc., 2010. 11. Ancestry.com. U.S., Find A Grave Index, 1600s-Current. Provo, UT, USA: Ancestry.com Operations, Inc., 2012. 12. Ancestry.com. U.S., School Yearbooks, 1880-2013. Provo, UT, USA: Ancestry.com Operations, Inc., 2010. 13. Ancestry.com. U.S., Social Security Applications and Claims Index, 1936-2007. Provo, UT, USA: Ancestry.com Operations, Inc., 2015. 14. Ancestry.com. U.S., Social Security Death Index, 1935-2014. Provo, UT, USA: Ancestry.com Operations Inc, 2011. 15. Missouri Marriage License Records Index. , . 16. Certificate of Completion. Certificate. March 1965. Digital image of the original, 2016. By Liza N. Reid. Privately held by James D. Lankford Sr., [ADDRESS FOR PRIVATE USE], St. Louis, MO. 2016. 17. Dedication of Service Award. Award. 19 March 1966. Digital image of the original, 2016. By Liza N. Reid. Privately held by James D. Lankford Sr., [ADDRESS FOR PRIVATE USE], St. Louis, MO. 2016. 18. Lankford, Jack. High School Graduation. 19 May 1933. Privately held by James David Lankford Sr., [ADDRESS FOR PRIVATE USE], St. Louis, Missouri, USA. 2016. 19. Lankford, James D. 1971. . Mehlville Senior High School, St. Louis, Missouri. Privately held by Mehlville Senior High School, [ADDRESS FOR PRIVATE USE], St. Louis, Missouri 63125. 2017. 20. Missouri. Death Certificates. The Department of Health & Senior Services, Jefferson City, Missouri. 21. Missouri. Jefferson. Bureau of Vital Records, Missouri Department of Health. Birth Registrations. 22. Reid, Liza N. Letter. 14 March 1962. Privately held by James David Lankford Sr., [ADDRESS FOR PRIVATE USE], Fenton, Missouri 63026. 2016. 23. Sales Analysis Institute Certificate. Certificate. 24 September 1963. Digital copy of the original, 2016. By Liza N. Reid. Privately held by James D. Lankford Sr., [ADDRESS FOR PRIVATE USE], St. Louis, MO. 2016. 24. Social Security Administration. Application for Account Numbers, Form SS-5. Social Security Administration, . 25. Typed notes. Typed note. unknown. Photocopy held privately held by Liza Reid, [ADDRESS FOR PRIVATE USE], Labadie, Missouri, USA. 2017.